I’ve always imagined myself flying in the first-class cabin in airplanes, because there’s the hope that it’ll actually be real someday. 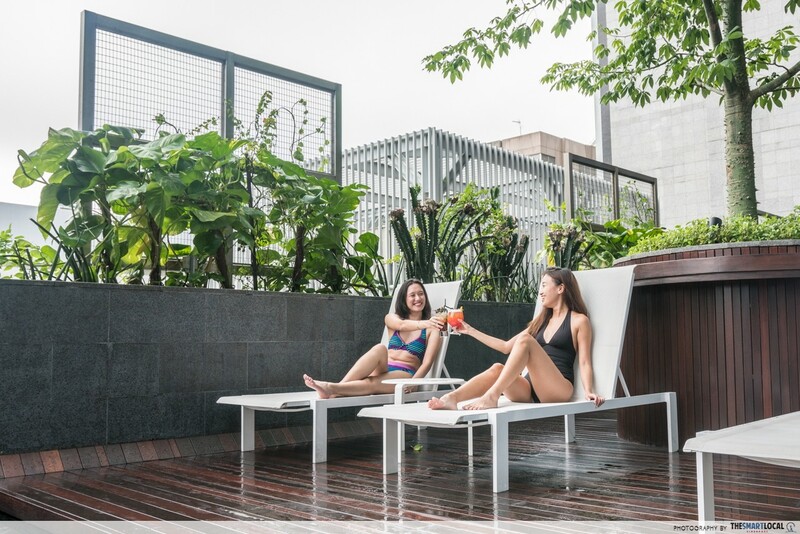 While most of us certainly can’t enjoy these luxuries in the very present future, here’s an experience that will more than make up for it: a staycay at the newly-opened YOTEL Singapore. 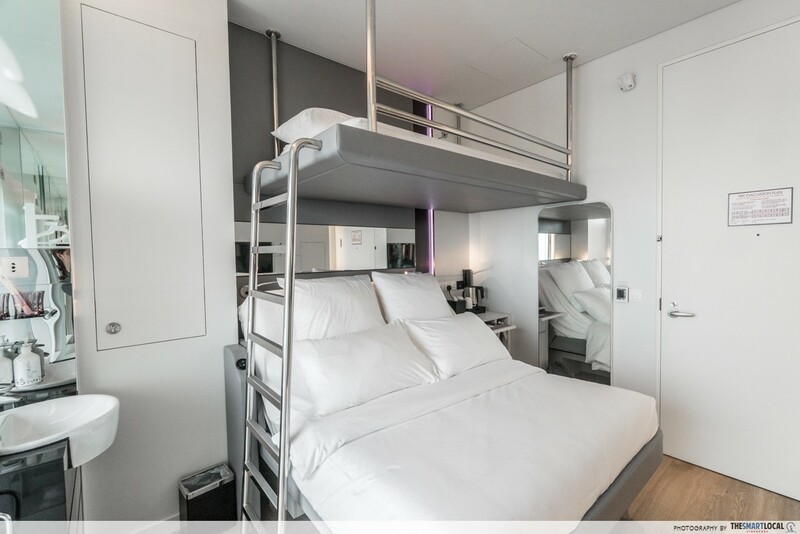 YOTEL has a futuristic, Tron-like aesthetic to it, and translates the compact, smart spaces of an airplane to a hotel room, complete with the comforts you can expect if you had bought a first-class ticket. 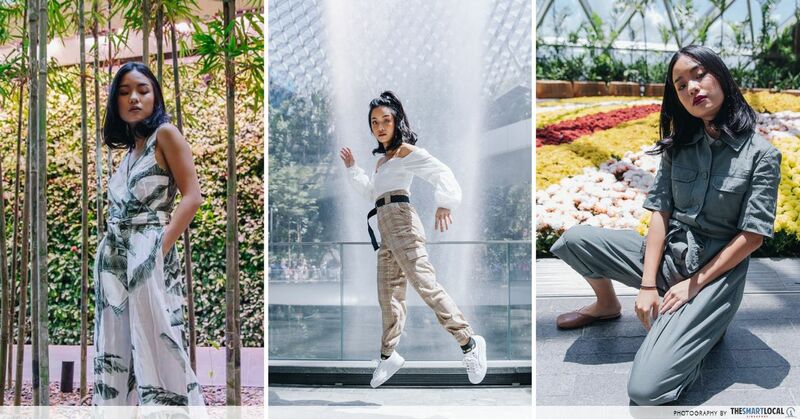 Decked in purple everywhere and teeming with airplane jargon, you’ll start to wonder if you really haven’t boarded a plane bound for your much-needed holiday. We had a 3D2N stay here, and we can honestly say our heads were up in the clouds for most - if not all - of it. The hotel’s futuristic glow is obvious from the moment you set foot into the lobby: white flooring printed with intricate Peranakan-inspired grey patterns, with purple carpets and seats for the furniture. It gives off a polished look reminiscent of those contemporary utopian movies where everything is pristine. 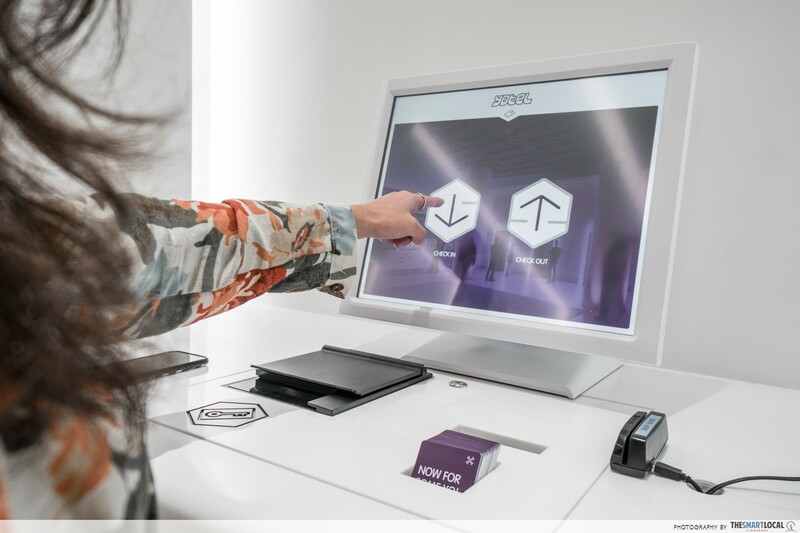 Termed ‘Mission Control’, this is where you'll find the characteristic lounge seats and concierge for checking in and out, although over here at YOTEL, guests have the option to check-in themselves with ease using the self check-in kiosks lined up on the left. There’s even a scanner to scan your IC or passport! 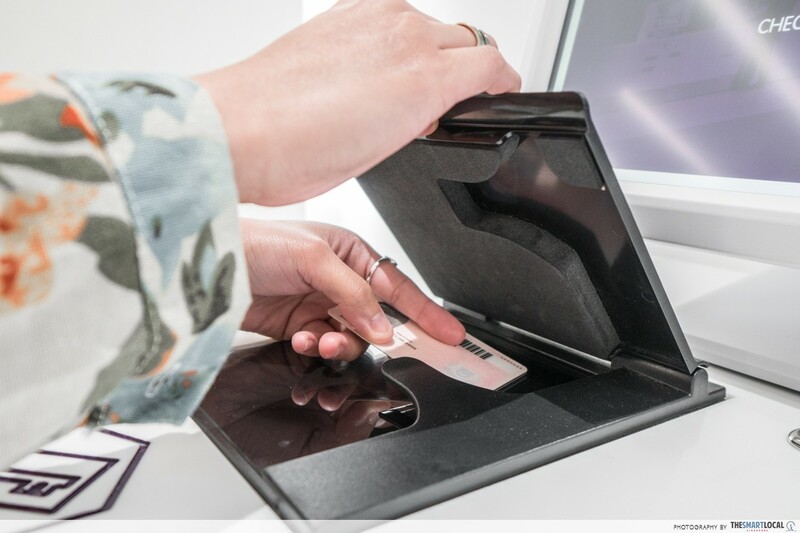 Simply key in your booking details, scan your IC/passport, and sign to confirm the check-in! The final step is to swipe your credit card to pay for your stay, and you’re done. A bunch of room key cards are stacked at each kiosk, and can be activated by tapping them against a barcode panel. Voila - you’ve been checked in, no forms or paperwork required! 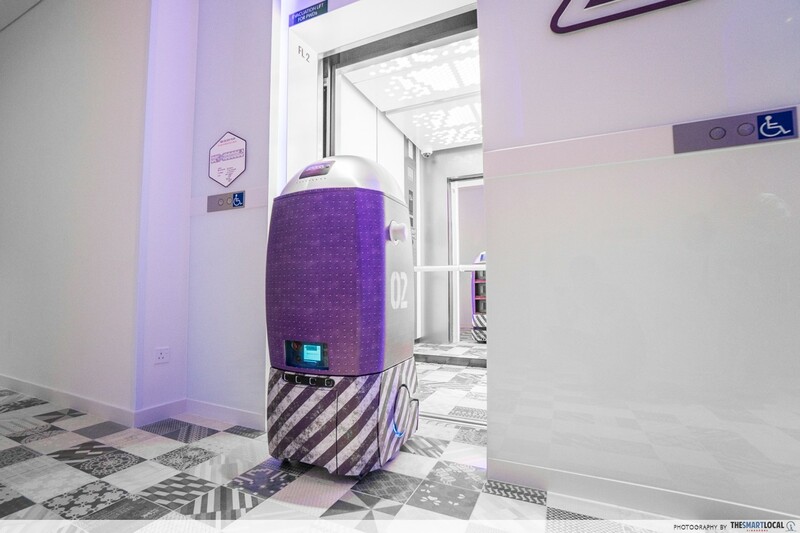 This isn’t to say that the concierge is rendered obsolete, because the ‘human touch’ is still very much needed to handle guests’ queries, luggage storage, and to deploy the robots on their various missions. 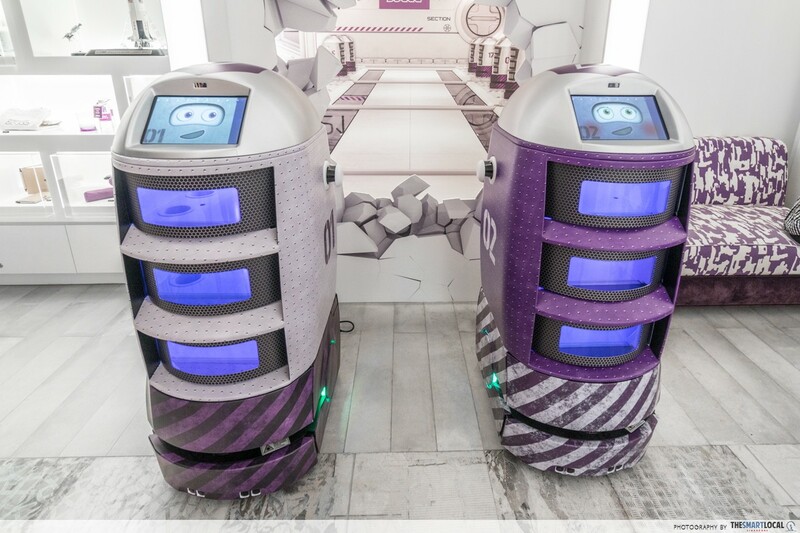 This is the moment when the Star Wars fanatic in me surfaced and refused to be suppressed for the next 3 days, because YOTEL Singapore has guest service robots that look exactly like the purple versions of R2-D2. 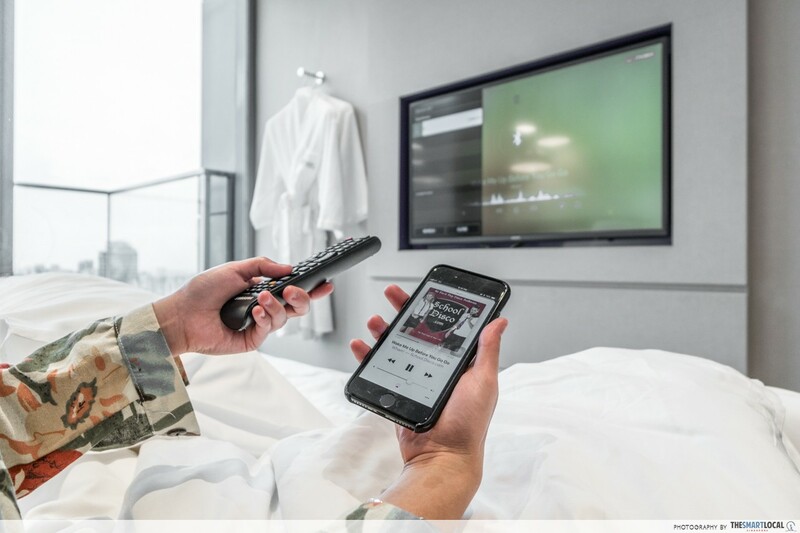 Built with storage compartments, motion sensors and talking functions, they function as room service for non-food, small-ticket items. 2 such robots - one ‘boy’ and one ‘girl’ - are on hand here, and they’re stationed at Mission Control when inactive. If you can, follow them through the hotel when they’re delivering items like towels, toiletries or water bottles right to guests’ front doors - it’s quite an entertaining sight. The lobby captures the futuristic concept extremely well, and the rooms definitely don’t disappoint either. 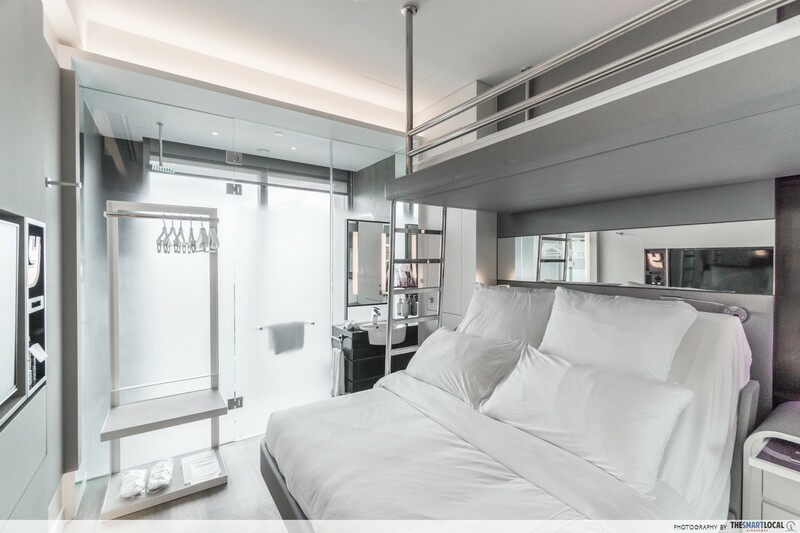 In keeping with the hotel’s concept of a first-class airline experience, the rooms are coined ‘cabins’, and designed in a compact, yet intelligent way to maximise space. We stayed in the First Class Suite, which is the second biggest of the 7 cabins you can book. 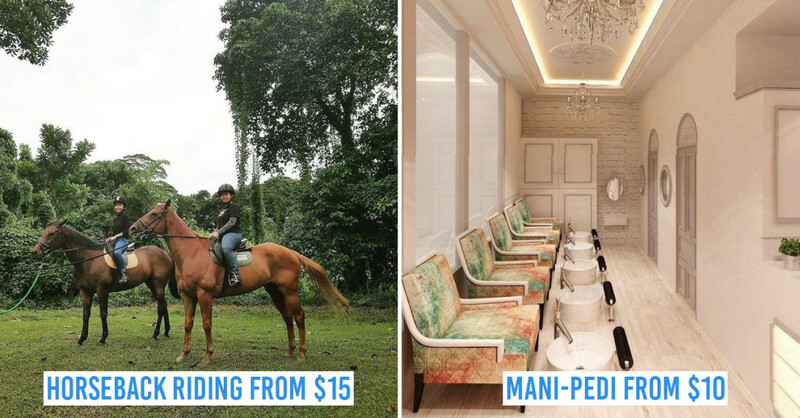 The price of the First Class Suites start from S$367++. 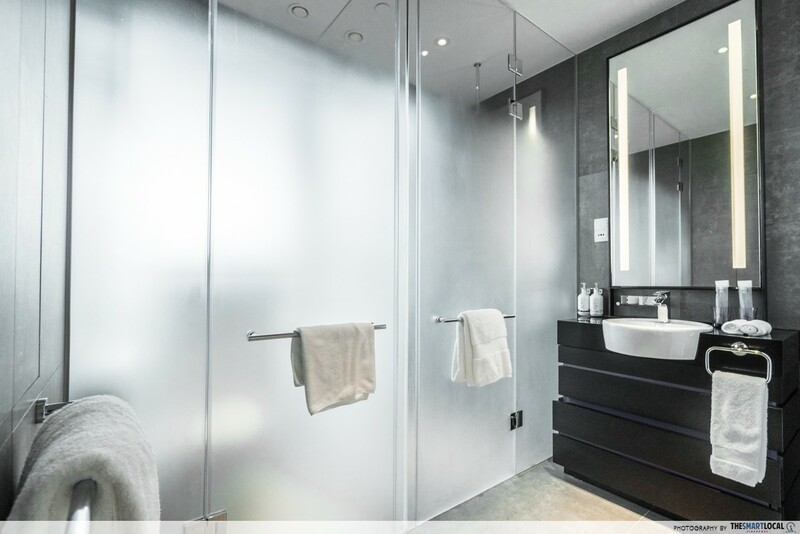 Aside from the bathroom and SmartBed™, this suite has been designed with a desk and lounge area, enhancing the flexibility to use the space for work and play. The sofa can be pulled out to become a bed, so this suite can easily have room for up to 3 people. The suite is furnished with what feels like Scandinavian-design accents, which incidentally suits its colour palette. 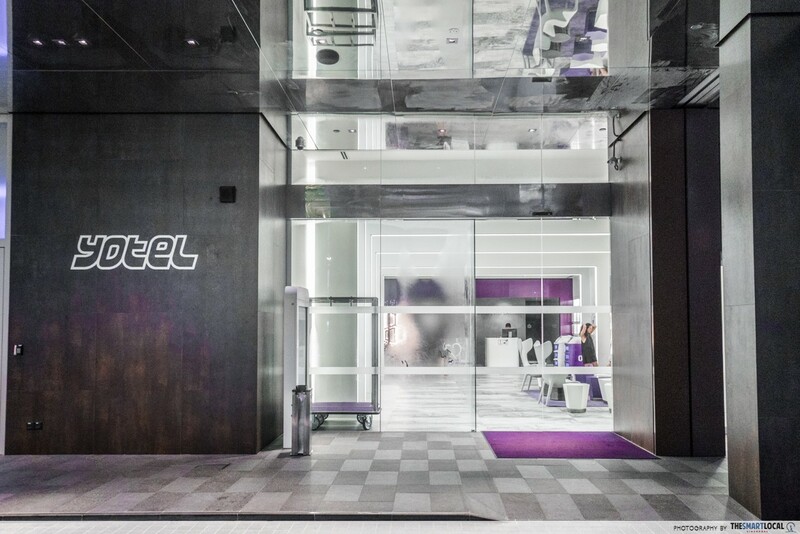 The cool-coloured wood complements YOTEL’s signature purple, and the ceiling has a panel emitting a pretty neon purple glow to drive home the futuristic effect. It looks even better at night when a light purple glow is cast over the entire cabin. The absolute best part about the entire room: the bed. It’s a SmartBed™, meaning it can be adjusted to your desired height with the press of a button. The bathroom occupies the right side of the room. The door on the left leads to the toilet, while the one on the right leads to the shower. There’s a divider that you can slide between this bathroom area and the rest of the room for privacy. The bathroom also looks like something out of an interior design catalogue, with industrial-like walls and floors, and a rain shower to boot. 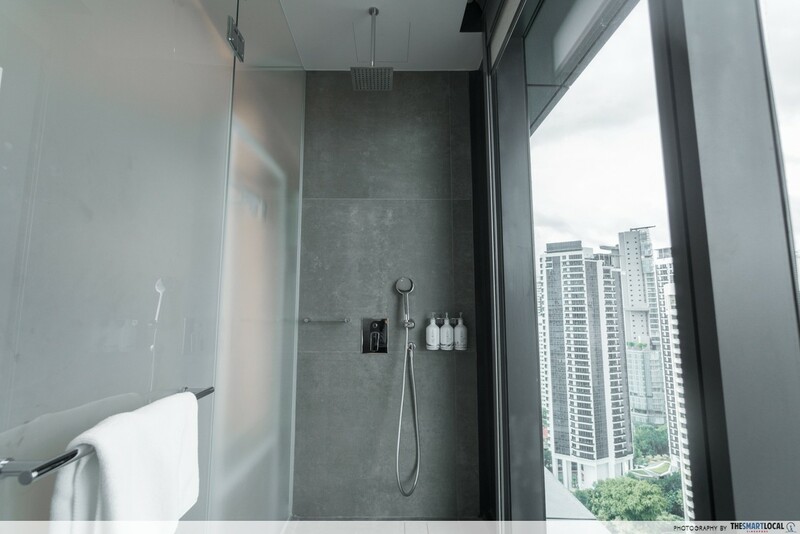 And yes, your eyes aren’t deceiving you: the shower has a floor-to-ceiling window for you to have the most unique shower experience ever. Fret not though, there are blinds that you can pull all the way down if you like. 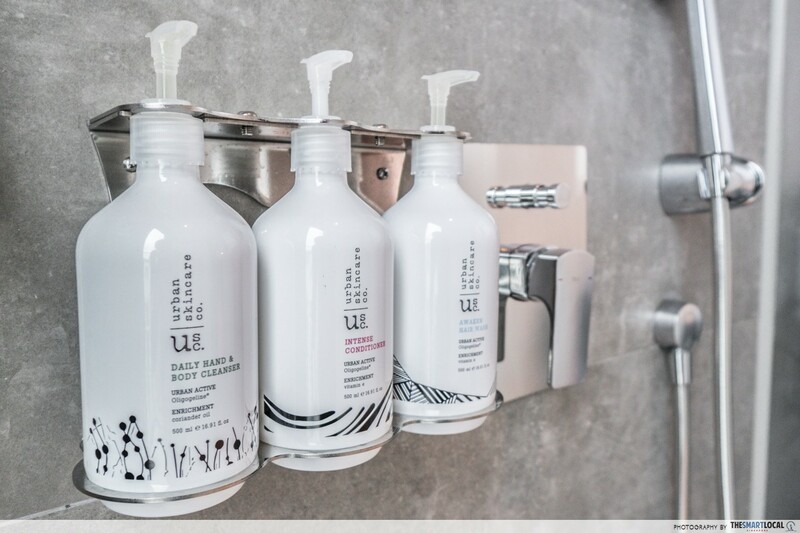 You won’t have to pack heavy when you stay here, because YOTEL provides all necessary toiletries you’ll need - from shampoo, bathing soap, and conditioner from Urban Skincare Co., to toothbrushes, toothpaste and bedroom slippers. The room has a flatscreen Smart TV, and you have access to tons of channels, so there’s no shortage of entertainment. 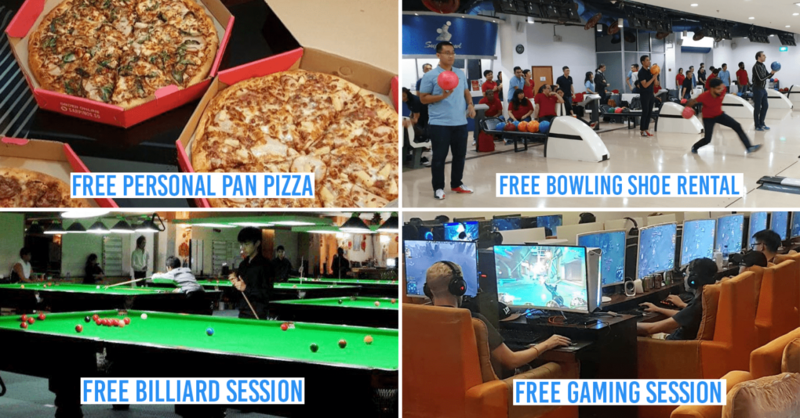 If you wanna bust out some moves, you can even connect your phone or laptop to the TV via Bluetooth and Miracast and blast your tunes. The Premium Queen with Bunk cabins bear similar configurations to that of the First Class Suite, only minus a lounge area. The addition of the bunk bed atop the queen-sized bed allows for the cabin to comfortably accommodate 3 people. This cabin really effuses the cabin concept - the room has the bathroom placed right next to the bed. The bedside table next to the bed can be pulled out to function as a desk, with a chair underneath. 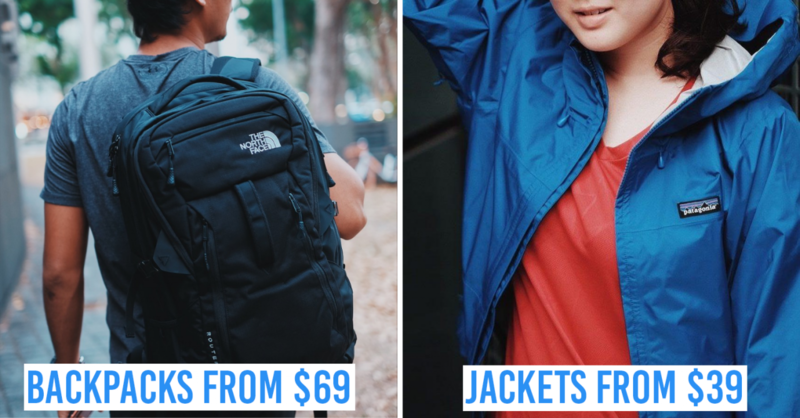 If you’re wondering about stuff like a safe, luggage storage, or cupboards, don’t worry - they’re all hidden in various compartments around the room. Case in point: the ironing board is stored vertically in a cupboard opposite the bed - smart use of space indeed. 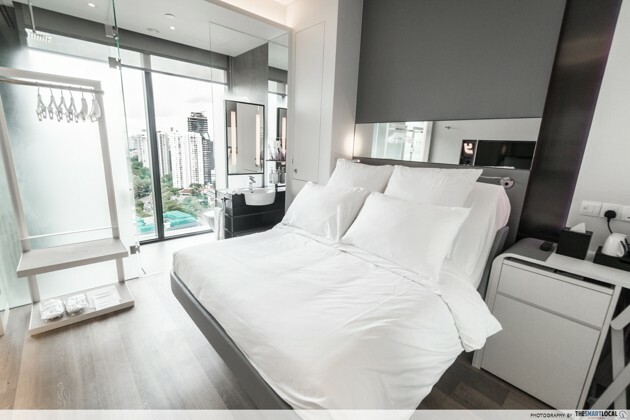 The Premium Queen is the most common cabin type available in YOTEL Singapore. Similar to the amenities available in the First Class Suite, the cabin can accommodate 2 people and comes with the same hidden nooks you’ll find in the First Class Suite: the safe can be pulled out from within the bedside cupboard, and hidden compartments in the wall reveal useful items like the ironing board. Bedroom slippers are of course available, and this compact space makes for an ideal, fuss-free stay in the heart of the city. 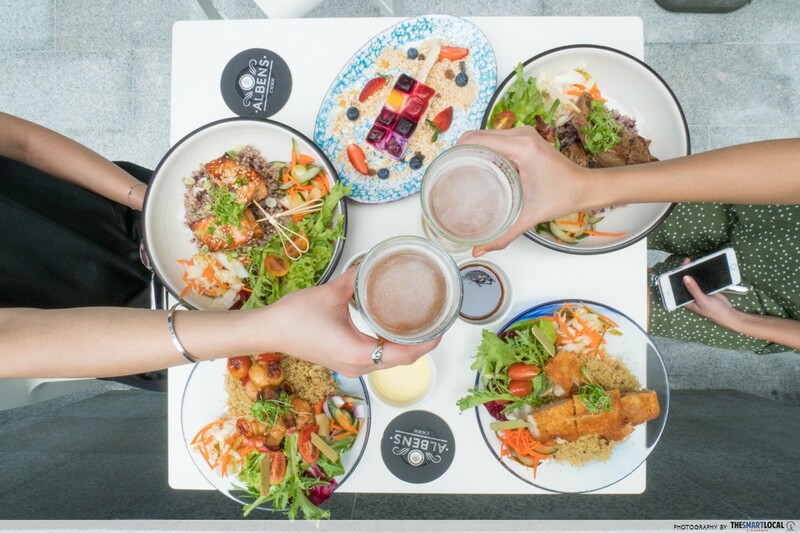 YOTEL Singapore’s restaurant - Grains & Hops Restaurant and Bar located at ‘TEN’ (Level 10) is the true definition of fusion cuisine. Both their food and drinks are infused with local and/or Asian flavours, with an extensive menu of dining options. Breakfast is done buffet-style with a display of both Asian and Continental and/or American foods, which really makes for a delightful romp through the serving tables. They also have bowls of muesli and fruits, as well as superfood juices that change daily. The restaurant on TEN is open to both guests and non-guests; you don’t need a key card to go up to the 10th floor, which is where the restaurant is located. 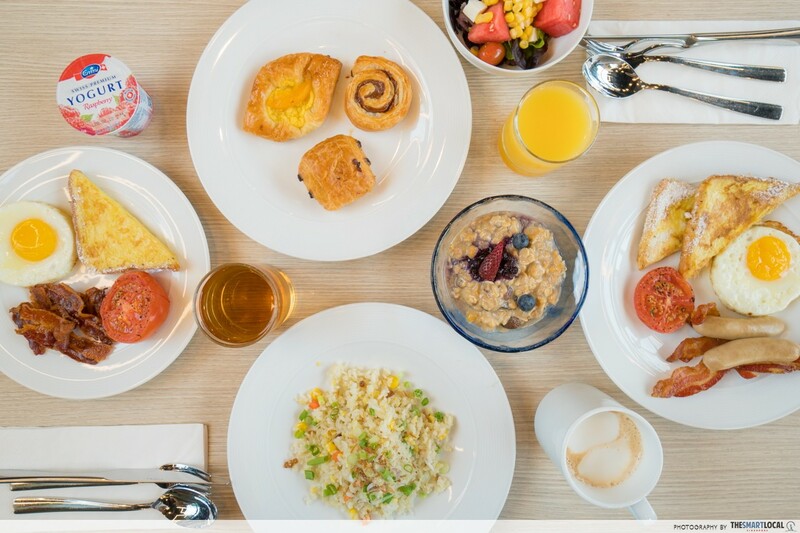 The breakfast buffet is also open to non-guests at S$20++ for adults. 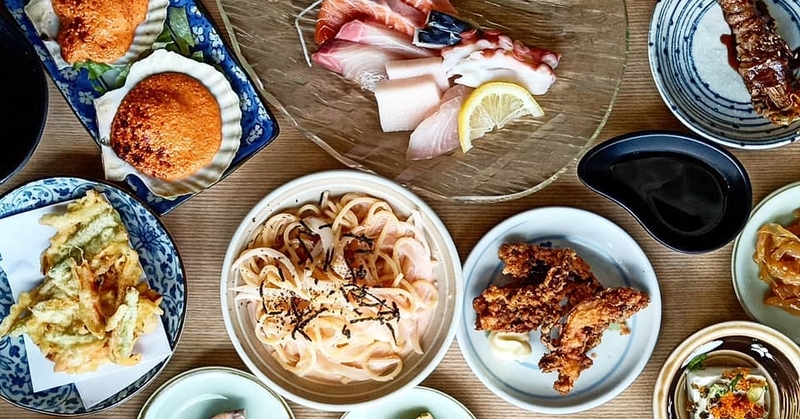 This is where you have the chance to feast on a few of their 9 signature rice bowls. Each bowl is ripe with nutrition, with either seafood or meat skewers placed over a bed of quinoa, multigrain, or purple sticky rice - yumz! 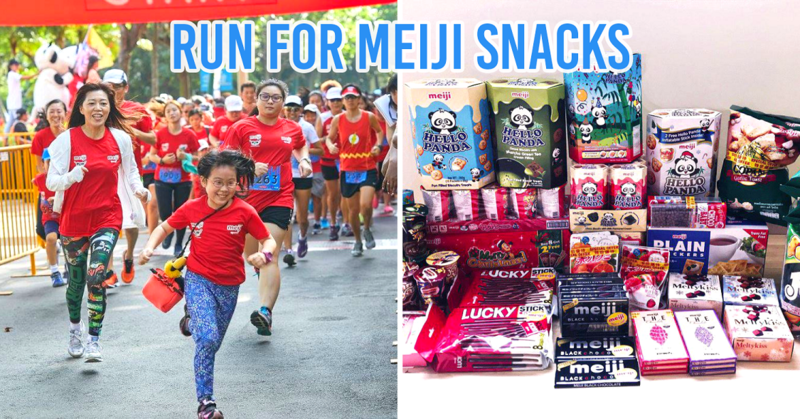 Grab a drink at their bar and chill! We recommend you try their Grains & Hops Brew ($7 for ½ pint, $13 for a pint) that’s infused with a tinge of local jasmine green tea - cuz you probably can’t get this mix anywhere else. 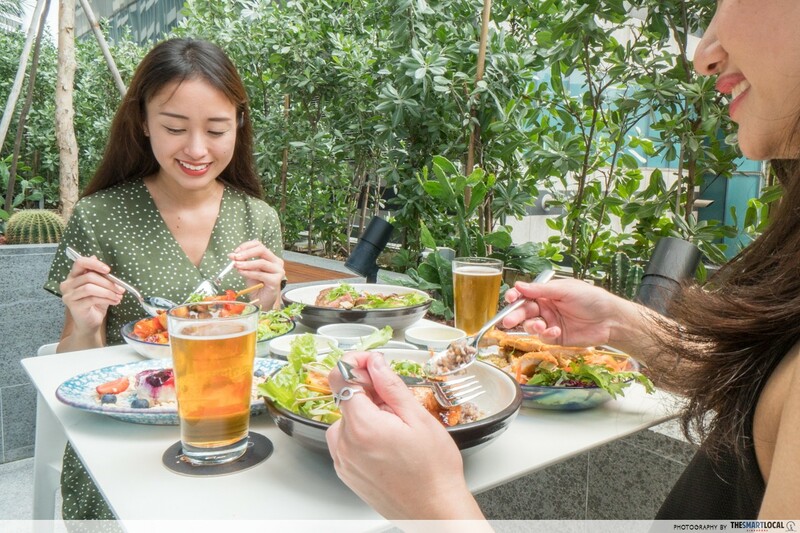 You can choose to dine al fresco too! 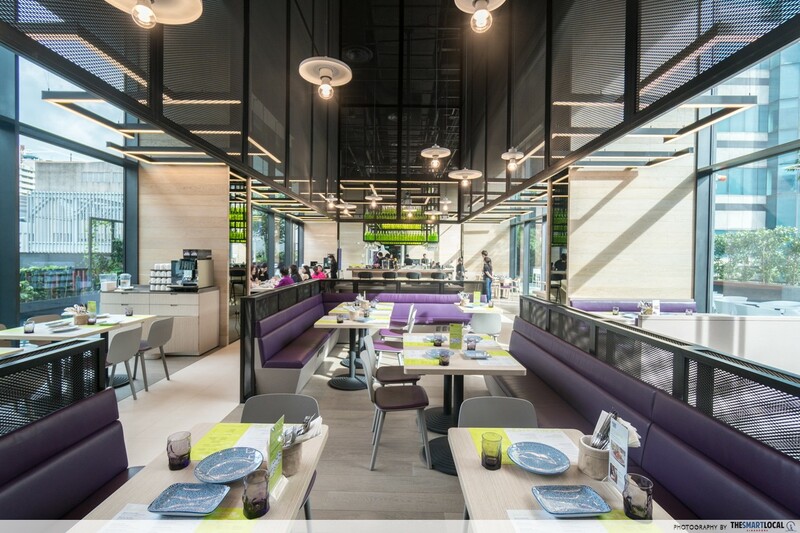 Another cool aspect of TEN is a multi-functional and flexible space just behind the restaurant’s dining area. Quiet and cosy, it’s a great spot for co-working or to spend the afternoon with your work or a good book. A glasshouse of sorts, the co-working space plays on a lot of natural light to give it a simple but comfortable feel. 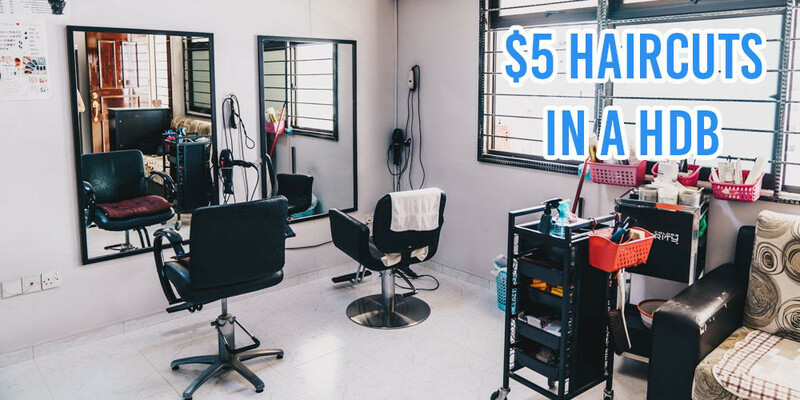 There are 3 separate booths for extra quiet space or if guests need to conduct any private meetings or make calls. Each room has a couch and 2-3 plush stools, as well as charging ports. The Club Lounge is dedicated to providing amenities for guests, which includes a pool and gym. The pool is actually right next to Grains & Hops, so you can take a dip or suntan on the deck chairs in the post-lunch haze. 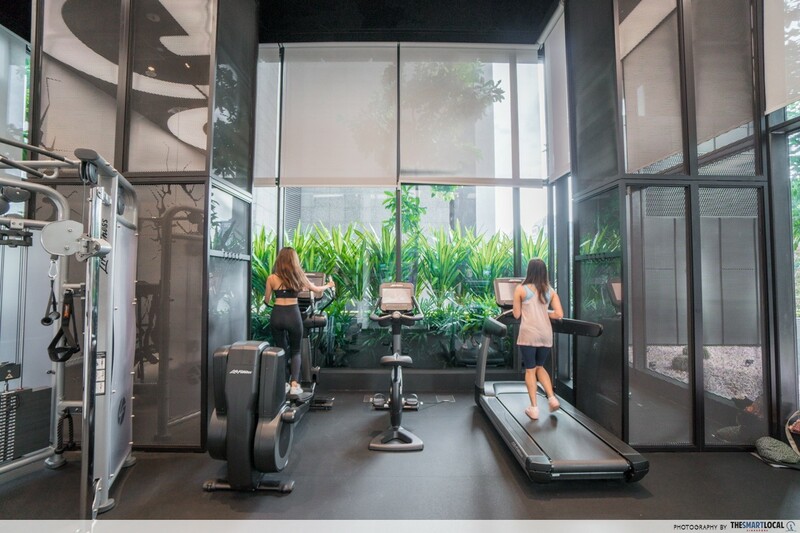 Guests who fancy a workout sesh before stuffing yourself with those tasty rice bowls: just hop on over to the gym, which is on the other end of the Club Lounge - same level as the resto. 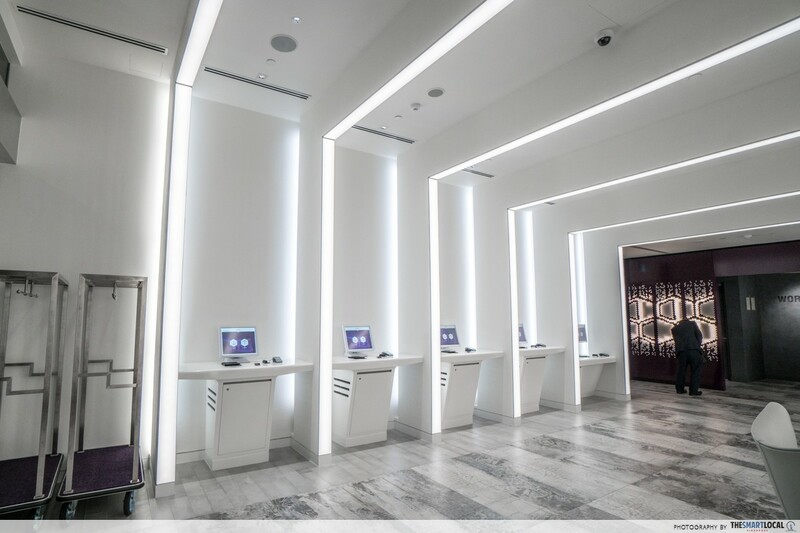 YOTEL’s combination of luxury-airline-travel-on-land and technology takes a totally new spin on the word ‘modern’, and I doubt there’s another place quite like this one. 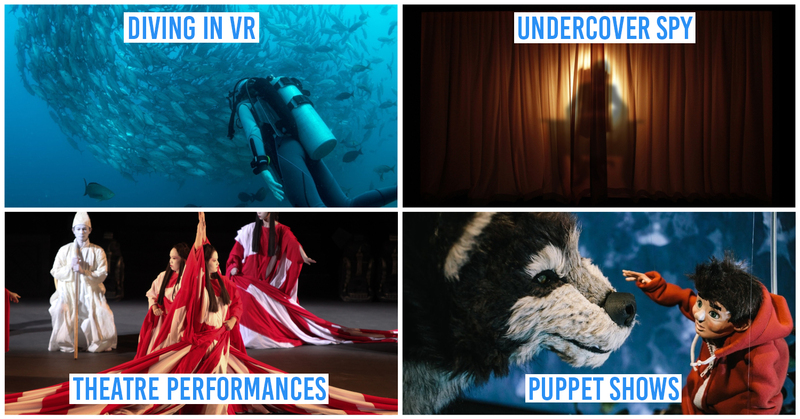 What impressed me the most was the strength of their theme; they have the futuristic concept accentuated in every aspect of the hotel, such that you’ll always feel like you’re entering a bubble of some other dimension each time you step back in. 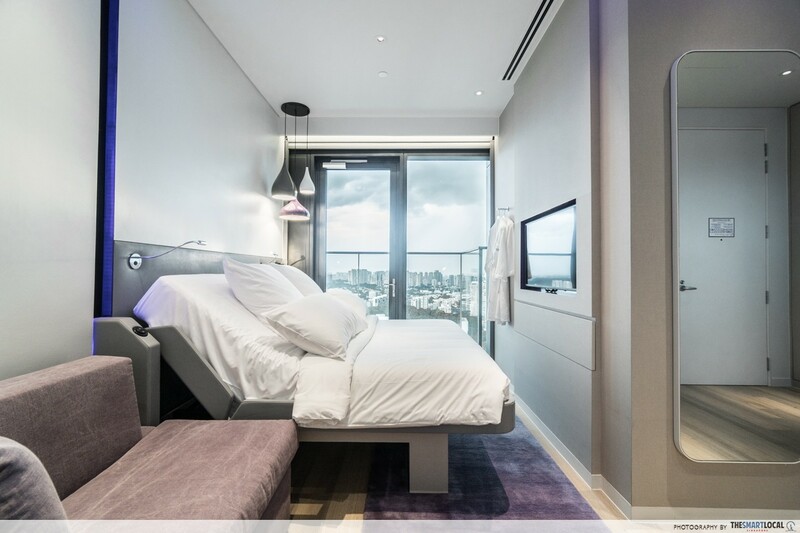 YOTEL Singapore is conveniently situated in Orchard Road, just behind Shaw Centre. But you’ll never realise just how close the hustle and bustle of civilisation is because the surroundings somehow keeps drawing you back into an episode of Star Trek-slash-Star Wars-slash-Tron. 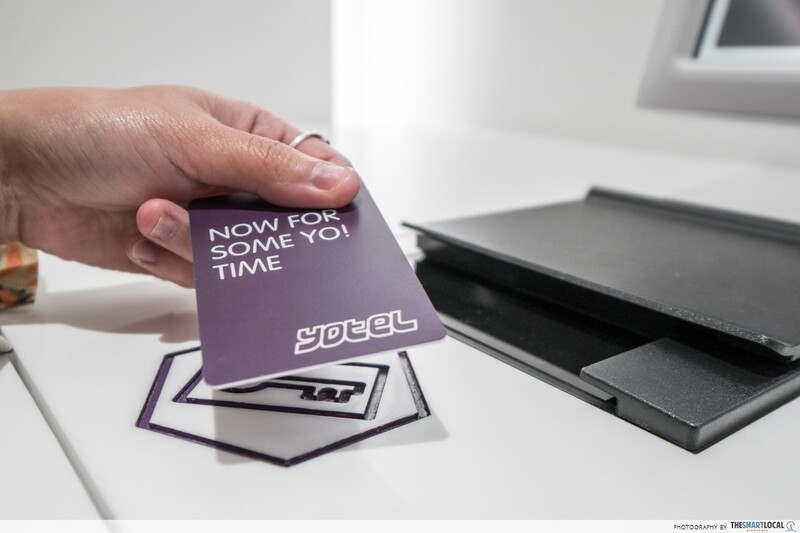 So if you’re looking for a spark of adventure without having to fork out the cost of a first-class ticket, take a ride with YOTEL - I know I’m definitely onboard. And as a special treat for you guys, if you book from now till 31st January 2018 using the promo code “TSL10”, you'll get 10% off the Best Available Rates. 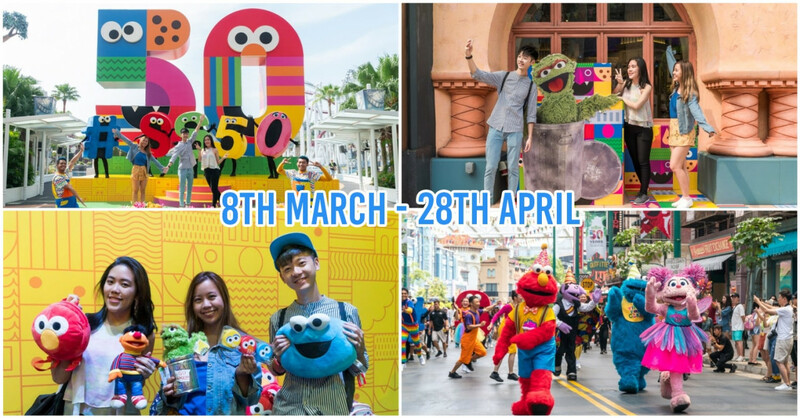 The available stay dates for this promotion are from now until 28th February 2018. 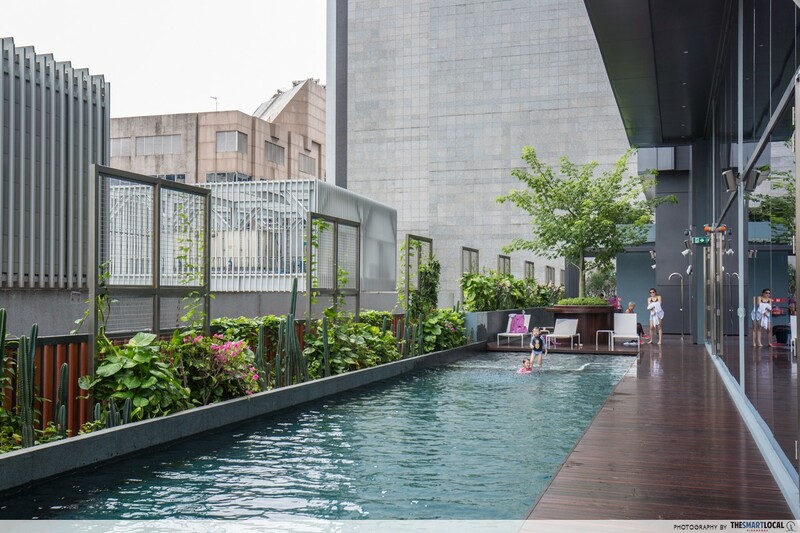 Find out more about YOTEL Singapore here! This post was brought to you by YOTEL Singapore.